While 27 percent of H1B petitions filed in 2017 were denied, 68 percent increase in Request for Evidence (RFE), 53 percent of non-compliant H1Bs ended up in revocation with Fraud Detection and National Security Directorate (FDNS) site visits. Similarly, Immigration and Customs Enforcement (ICE) raids have increased by 46 percent and are estimated to increase by another 20 percent in the coming years. To that end, Department of Labor (DOL) penalties have also shot up by a staggering 4800 percent. What do these statistics have in common? These are the consequences of not being compliant. Most often, organizations are not willful violators; they are just falling back in catching up with ever-changing HR, and immigration compliance policies. Adding to this are manual processes that make them error-prone. Resorting to an attorney for Immigration and HR Compliance guidance can be of great help, but they primarily depend on the data provided by organizations. In case the organization fails to define the right SOC Codes, Wage levels matching the Job duties then even the Attorney cannot save the petition ending up in RFEs and Denials. So, the discipline has to start internally for the organization to be compliant. HR teams should be empowered with enough intelligent systems to minimize Immigration and HR compliance impacts. 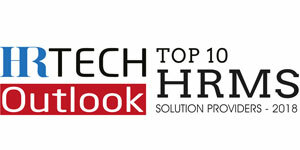 OnBlick is one such system that aims to help organizations with HR compliance and Immigration. OnBlick application digitizes I9s, automates PAFs increasing preparedness for any kind of Department of Labor (DOL) audits. It suggests appropriate SOC Codes, recommends appropriate wage levels enhancing the chances of H-1B approvals. The system leverages latest data from U.S. Citizenship and Immigration Services (USCIS), DOL, ICert, FLC Data Center, ONet Database to keep organizations up to date with latest memos, policy changes or any document version updates. “As Immigration becomes more complex, preparedness for compliance becomes more urgent, it is important for organizations to quickly and efficiently iterate their way towards the best solutions. OnBlick is a unique framework designed to empower employers and stands out as a best solution in the areas of Immigration and HR Compliance,” explains Krishna Garimella, Co-Founder and CEO of OnBlick. “In the process of filing an LCA, OnBlick assists mapping best SOC Codes and appropriate Wage levels. After this process, generating of Public Access Files (PAF) within 24 hours is another cumbersome task, while with OnBlick generating PAF is just a click away.” points Krishna. Besides these, OnBlick’s application has a detailed track of all the LCAs for the last four years. Additionally, OnBlick also aids Employers and Employees in FDNS site visits. It enables Employers to collaborate with Employees through ESS feature preparing them for any sort of FDNS site visits. 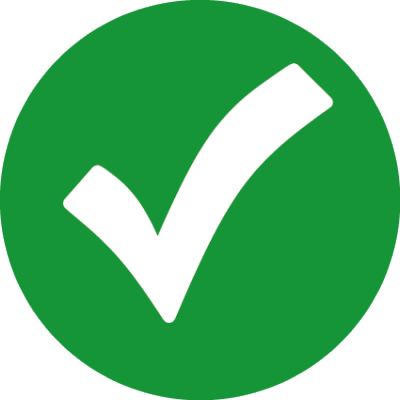 With OnBlick, organizations’ compliance is completely automatic. It creates timely alerts in case of any issues that are deviating from compliance. For instance, missing PAF for any LCA, or if there is no I9 initiated for a newly onboarded employee, the system immediately alerts. “Successful enterprise products are those which address real pain points of organizations. OnBlick, is one such intelligent product that empowers the employer guiding them through nuances around Immigration and HR compliance” states Srikanth Boundugulapati, co-founder and CTO of OnBlick. Based on the client’s requirements, OnBlick provides a total compliance solution as Cloud hosting or Premise hosting. “We follow utmost caution towards customer data security and privacy. With OnBlick there is no fear of cyber attack or cyber crimes as product security system is built following OWASP & GDPR compliance and keeps Organization’s data secure by design” adds Srikanth. Citing one of OnBlick’s success stories Shravan Kore, co-founder and COO of OnBlick points out a client, who was in urgent need of submitting their PAFs to an anonymous requesting party within three days. The total employee count for this organization was more than 150 with over 1000 LCAs applied over last 4 years. Manually handling this was definitely a daunting task. But with OnBlick autogenerate PAF feature, generating and sharing PAFs digitally to requesting party happened in a matter of minutes. With a mission of digitizing and automating as many Immigration and Compliance processes as possible, OnBlick continues to empower Organizations to maintain compliance and avoid hefty penalties. “By the end of 2019, our vision is to serve at least one thousand customers and keep them compliant” concludes Shravan.